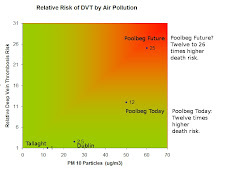 The Galway Tent Blog: European Respiratory Society: European Union policy could cost you 2 years of life. European Respiratory Society: European Union policy could cost you 2 years of life. European Union policy could cost you 2 years of life. The European Respiratory Society has published its concern about the mismatch between European Union policy and the best scientific evidence. They state that a reduction in the yearly average PM2.5 particulates to 15μg per cubic metre(c) would result in life expectancy gains, at age 30, of between 1 month and 2 years. They point out that the benefits of implementing stringent air pollution legislation would outweigh the costs. These recommendations are sensible and based on sound science. 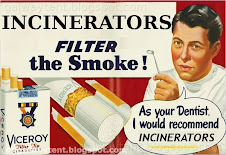 A programme of building incinerators would unfortunately achieve the opposite: they would increase particulate pollution, reduce life expectancy and would be at odds with the best science. c) The US National Ambient Air Quality Standard for PM 2.5 particulates was introduced into the USA in 1997 with a mean annual limit of 15μg per cubic metre. This had measurable health benefits.